The concept of clusters has proved effective in the European Union as a way of bringing researchers and companies – especially smaller companies – together to explore approaches to resource efficiency. SMEs in particular can dramatically enhance their operations by working in clusters. In EU countries, there are various clusters working on various aspects of innovation and resource efficiency, including the bioeconomy, sustainable chemistry, waste management and agriculture. But how can the impact of these clusters be maximised, especially in an international setting where there are opportunities for EU research organisations and SMEs to export their eco-innovations to new markets? Nine clusters from different EU countries came together in a “cluster of clusters” known as Natureef to answer that question. 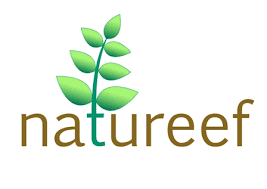 Natureef, backed with funds from the COSME Programme of the European Union, ran from the start of 2016 to the end of 2017. In total, Natureef involved 1200 SMEs from its member clusters. Its aim was to help these participants “go international,” with a focus on resource efficiency in the context of a rising global population and increasing pressure on agricultural land. Natureef identified a number of priority territories where its cluster members would seek business opportunities related to resource efficiency: Chile, Colombia, Mexico, Peru, China’s Fujian region and the Philippines. In each case local representatives were appointed, new links were developed, and commercial missions and workshops were arranged – all with the intention of seeking new sustainability-related business opportunities and developing resource efficiency partnerships. The project organised numerous meetings and business matchmaking events – 70 in China alone. In total, some 20 cooperation agreements were signed. In the Philippines, for example, Natureef partner CREA, a cluster from the Czech Republic focused on water and renewable energy, was recruited by the province of Guimaras to help establish a local cluster. In Mexico, agreements were signed between Bulgaria’s Green Synergy cluster and Mexican companies. Natureef was recognised as effective in opening up international opportunities for resource efficiency-focused SMEs. The project was one of three finalists in the 2016 EU Cluster Partnership Awards. Although Natureef came to a close at the end of 2017, it lives on in the form of the Natureef Association, based in Szczecin, Poland. The association’s aim is to facilitate resource efficiency initiatives related in particular to chemistry and packaging. It continues to maintain relationships with partners in Colombia, Philippines, Denmark, Portugal, Spain, France, Czech Republic and Hungary. The association is working, for example, on the South Baltic Food Innovation initiative, which promotes sustainable innovation among SMEs in the food sector around the Baltic Sea. The importance of clusters in creating favourable innovation ecosystems and promoting growth is well recognised in the EU. The Commission runs a number of clusters promoting initatives including the European Cluster Observatory - a policy information portal, Cluster Excellence offering benchmarking and training tools for cluster organisations; Cluster Internationalisation enabling EU clusters to establishs cooperation within and beyond the EU; Clusters and Emerging Industries providing information on initiatives which support emerging industries. Under COSME and Horizon2020 the Commission promotes many relevant initiatives among which are the European Strategic Cluster Partnerships for Going International (ESCP-4i) in the field of green technologies facilitated by the European Cluster Collaboration Platform (ECCP).